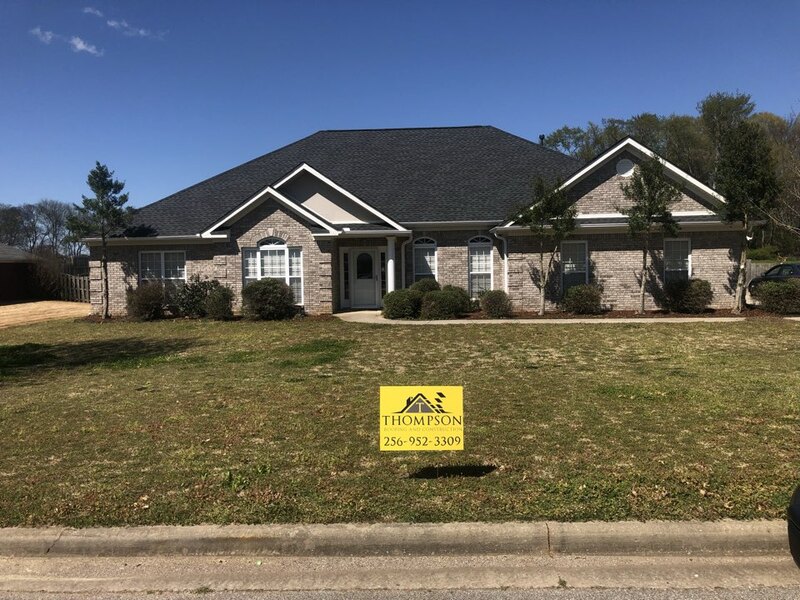 Thompson Roofing & Construction has over a decade of experience installing quality roofs and providing other exterior renovation services for homeowners throughout the Athens AL and Southern Tennessee areas. 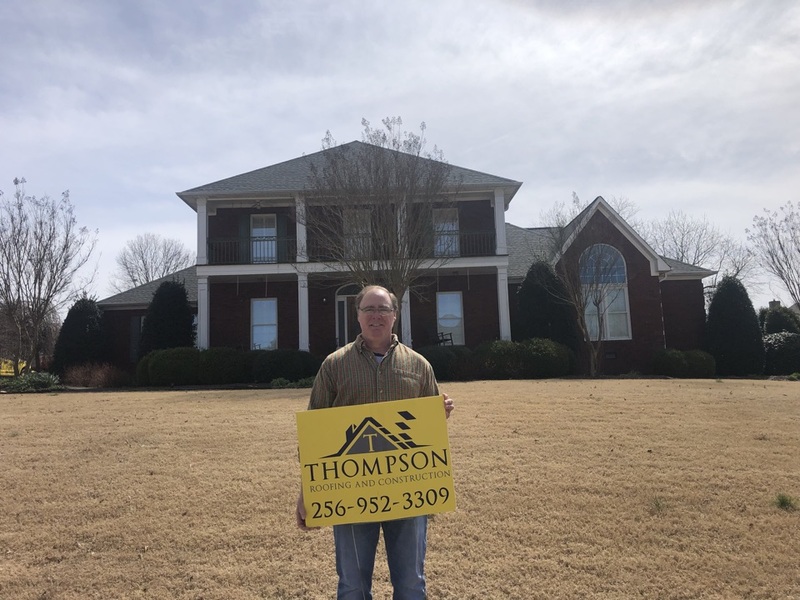 You can trust Thompson Roofing and Construction with their extensive local experience as a certified contractor on gutters, roofing, siding and construction. Unlike other general contractors, we are fully insured and licensed. Our team works every week day and weekend so we are available to help you whenever you need it. 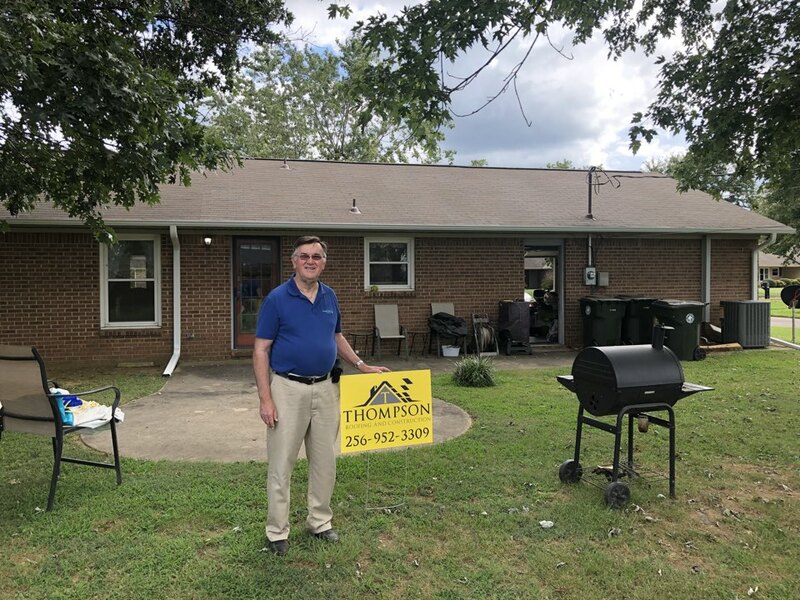 In addition, we are a GAF Master Elite Certified roofing contractor, which means our team of roofing experts has been comprehensively trained and passed the test to expertly install GAF asphalt shingle roofing systems. In addition, the Master Elite certification from GAF places us amongst the top 3% of roofers in the country! GAF certification allows us to offer options for the best warranties to cover GAF roof systems that we install on your home. Any roofer that is not a GAF certified contractor couldn’t honor a warranty if there are any issues with the installation or materials of your roof happen in the future. 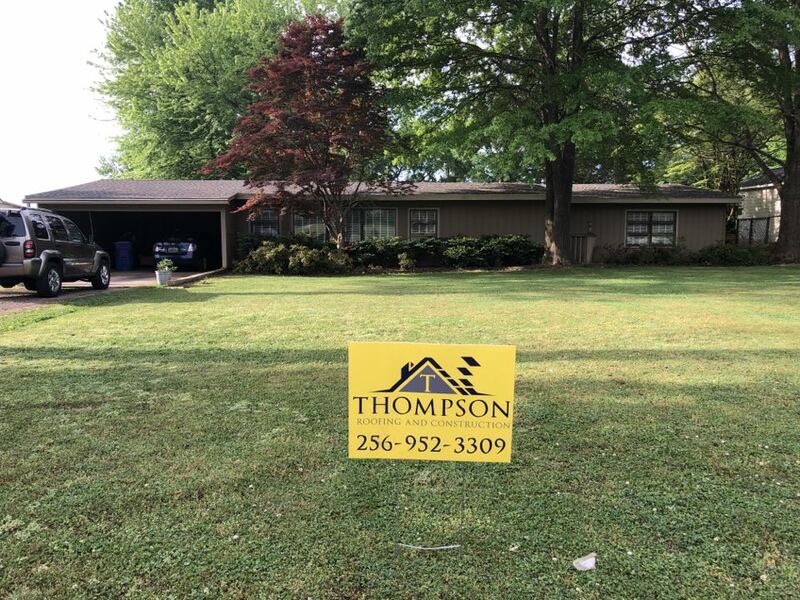 When you hire Thompson Roofing & Construction to do your home improvement projects, you will have quality materials backed by outstanding service for every project. 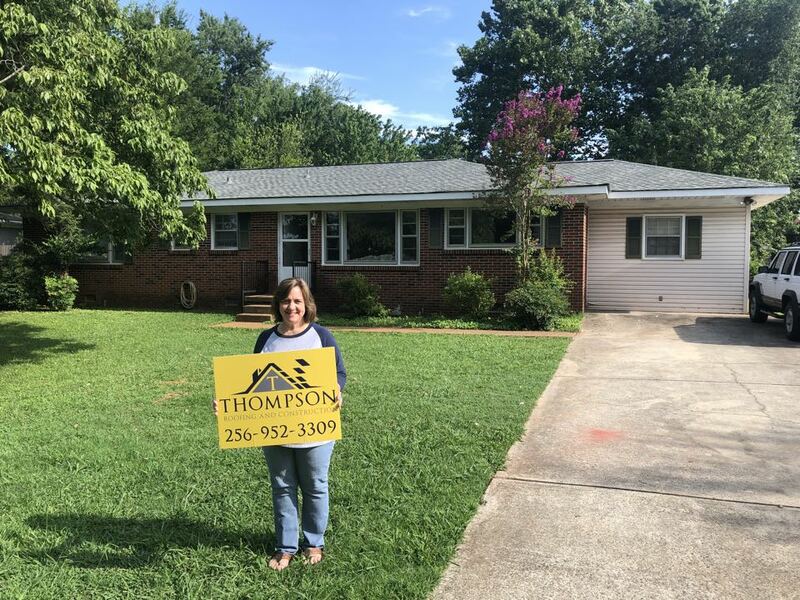 If you are looking for a reliable contractor for home improvement or roofing in Athens AL, then contact us to get a free consultation on your project. We offer only high quality products and services for roofing and home improvement. Call us today at (256) 952-3309 or fill out our convenient online contact form here on our website. In addition to free estimates, we also offer affordable financing options. Wonderful service from the first meeting till the final quality assurance. 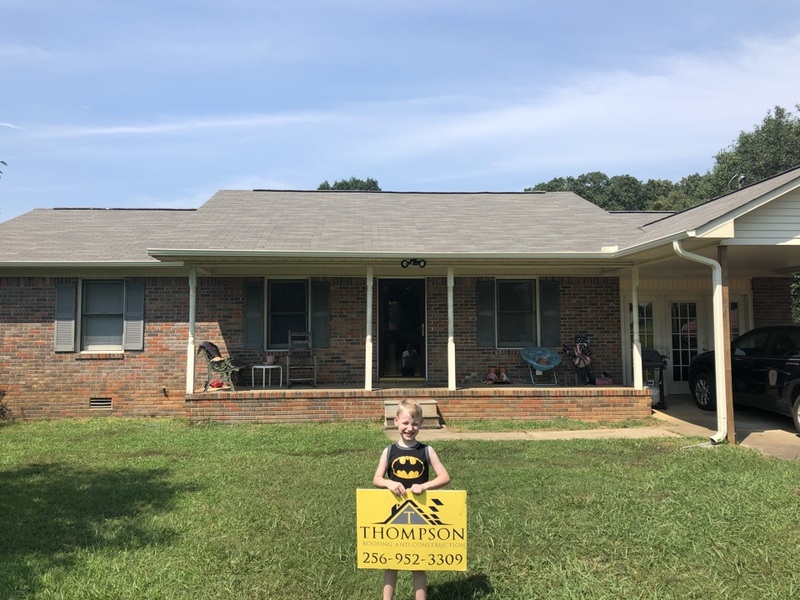 The entire Thompson Team took great care to make sure that I was happy before, during, and after, the new roof was installed. In addition to a new roof (full tear off of old and replaced with new due to hail damage) I had gutters added/replaced and 2 skylights installed. Each step of the process was done with care. I will gladly hire them again to do work around my house. Very professional and thorough. My new roof looks fantastic! Unique roofing solutions for unique designs in Athens, AL. Roof damage was found on this roof with multiple leaks. 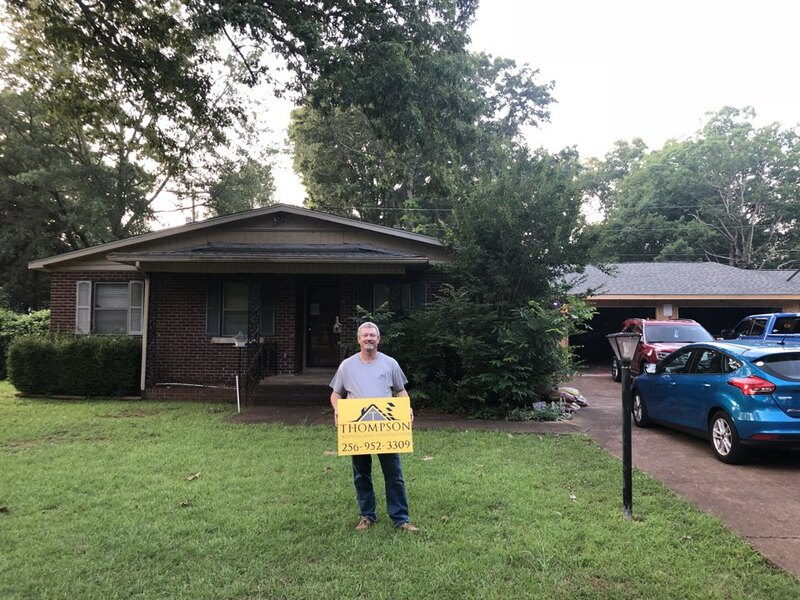 Thanks to Don Blevens with Alfa insurance, we found a happy customer! Wind damage was found. Thanks to Alfa insurance and GAF this roof now has a Lifetime warranty. This roof was on its final leg. Thanks to GAF and the golden pledge warranty, this roof has a lifetime Guarantee! This roof in Athens Alabama was on its last leg. 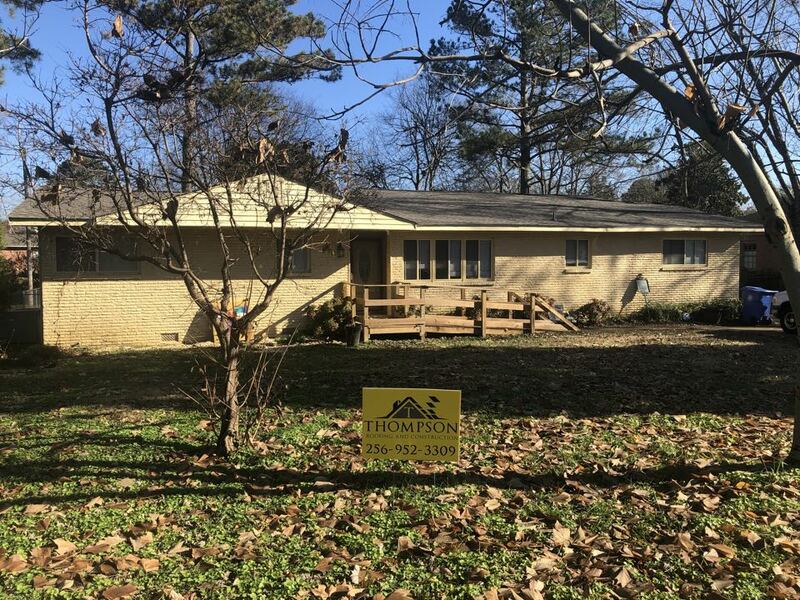 After installation of GAF Timberline HD it now can stand strong! Wind damage compromised this roof as a 3 tab in Athens Alabama. After installation of GAF Timberline HD, this roof has a much higher wind resistance.